Prof. Dr. Mamuna Ghani is the principal organizer of the conference. She is a PhD from the University of Essex, Colchester, United Kingdom. 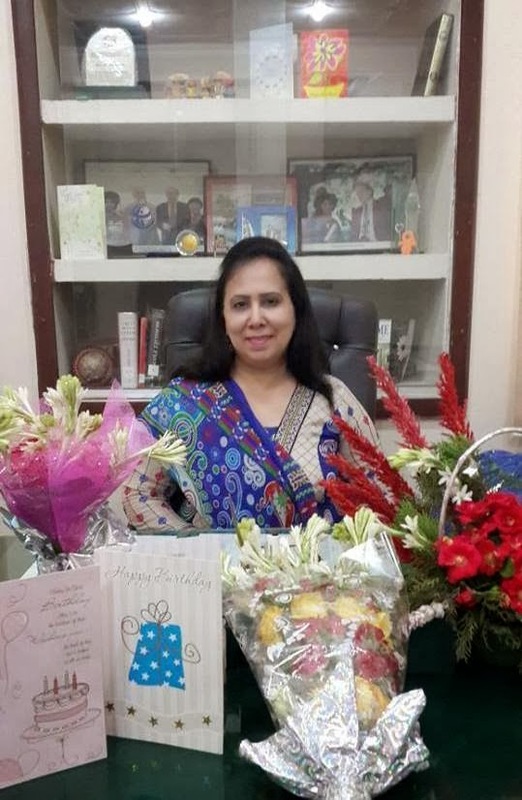 These days, she is the chairperson of the department of English at the Islamia University of Bahawalpur Pakistan where she is a part of a number of academic bodies. She is also a member of the editorial boards of the Journal of Language by LAP, (Linguistic Association of Pakistan) and the research journal IRJAH by the University of Sindh, Pakistan. For the past 23 years, she has written extensively in Pakistani journals of linguistics on issues related to TEFL and sociolinguistics. Her special research interests include multilingualism, code-switching, language and social class, language and gender, anxiety and language learning and the effects of attitude and motivation on second and first language learning. She wants to play her role in spreading education to the remote areas of the country. Under her supervision, students from the far flung areas of Pakistan have secured M.Phil. and doctorate degrees. Her students are serving in the field of ELT in various educational institutes, colleges and universities in Pakistan and abroad. She has successfully organized two international conferences (2013 & 2017) on linguistics and literature at the Islamia University of Bahawalpur.